Willow came to us via Animal Care & Control after she was left there as a young mother. Her kittens have been weaned and adopted, so she is ready to “start over” and enjoy her own kittenhood. 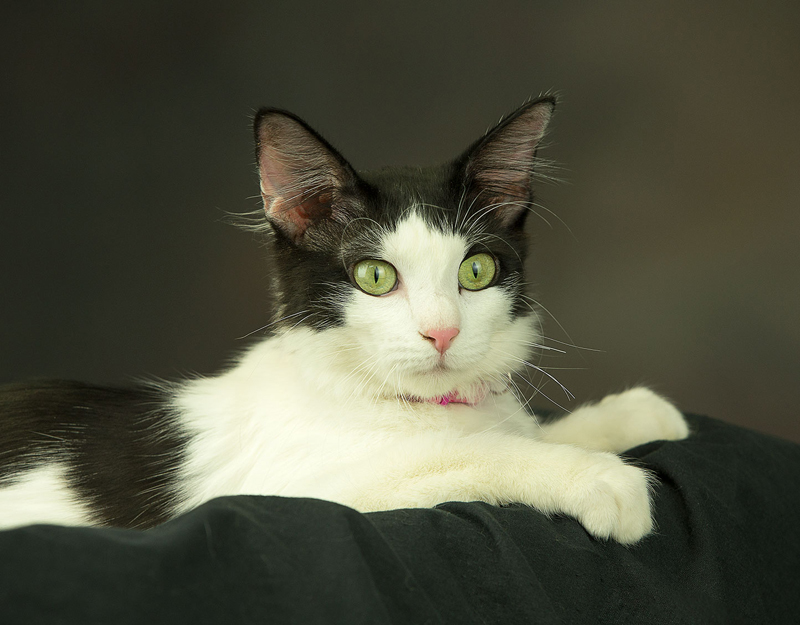 She is a very active and playful cat, and will need training so she learns to play gently. She is being socialized with other cats and dogs in her foster home. Willow is YOUNG and playful. She loves pets and is very curious! She was unsure of other cats/dogs at first, but is gaining confidence and doing great with others! She leaves the older cats alone (now) and initiates play with our other young cat.